What is Causing that Finger Rash? Do you know what to do if you develop a rash under your wedding band or other rings? 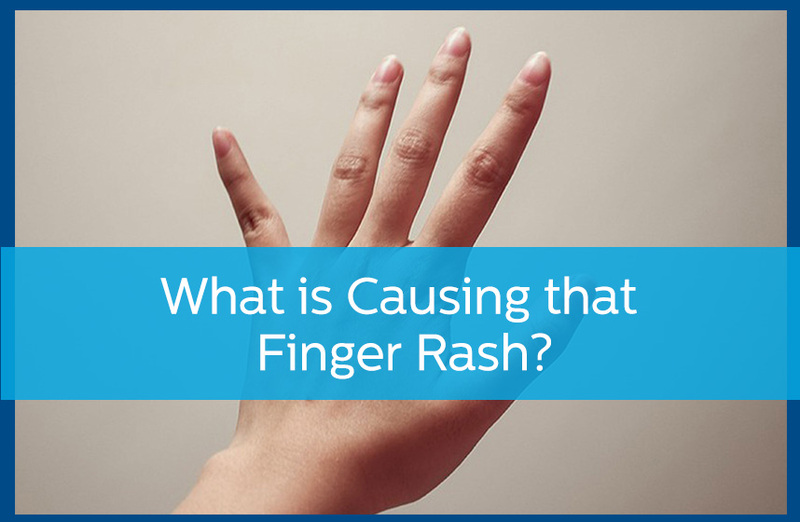 It may seem strange, but you can develop a rash under a ring that you have worn for years without any problem. But regardless of how soon this rash crops up, there are two possible causes and several things you can do about it. The rash you are noticing under your ring is a form of eczema or contact dermatitis that goes by several different common names including wedding ring rash. This could be caused by an accumulation of soap, dead skin, and bacteria that have built up on the underside of your ring. Or you could have a metal allergy. Logically, you will want to begin with the cheapest and easiest possible solutions. Start by just taking the ring off. If the rash does not go away with the ring off, you may need to treat the area with a moisturizer. Particularly if you wash your hands with the ring on, you have likely built up some soap and foreign matter under the ring. Next you should clean the ring to determine if your problem is an allergy or just a dirty ring. The most thorough cleaning method is a professional cleaning as done by a jeweler. If a home approach is desired, one way is to mix a solution of two parts vinegar and one part hydrogen peroxide. Soak your ring in this for at least two hours (overnight is best). Thoroughly rinse the ring and allow it to air dry. Between this and frequently removing, or at least sliding the ring out of the way to ensure that the skin is clean and dry, and the inside of the ring is rinsed completely of any soap, dirt, detergent, etc, this may be all you need to clear the rash. If it does not, then seeking the care of a dermatologist, who has access to more potent medications, is likely needed. Rarely, the rash may be an allergic reaction.In rare cases, the rash may come over and over again, and occasionally, that is the result of an allergic reaction. . Nickel is the most problematic metal, and gold allergies are more common than before. Platinum is among the least likely. If you note that your ears react to metal earrings, this may be a tipoff. Your dermatologist can do skin allergy testing to be certain. If you suspect you may have an allergy to your ring or other jewelry, or if your rash persists past a few days, you should seek professional help. You can schedule an appointment with Avail Dermatology by calling 770-251-5111 today! https://availdermatology.com/wp-content/uploads/2016/11/FingerRash.jpg 560 858 John Lenz /wp-content/uploads/2017/08/logo.png John Lenz2016-11-22 15:43:172018-08-06 19:17:48What is Causing that Finger Rash? 3 Unexpected Causes of Hair Loss How Often Should I Change My Skin Care Regimen?